Jim has a wealth of experience in both the private and public sectors, with more than 35 years in the banking industry and nearly eight in government service. Currently a Partner with Safe Harbor Consulting, he has held numerous leadership positions throughout his career, including as President of C&S Bank of South Carolina; President of NationsBank of Georgia; and President Mid-South Division, Bank of America. His work in the public sector was as the first ever Chief Operating Officer for the State of Georgia from 2003 to 2010, to which he brought a number of innovations. These included creating an “Office of Customer Service” to assist state employees in creating a more consistent and productive experience for citizens needing help, and the Executive Leadership Development Program that focused on staff development, identifying talent, and developing career paths. 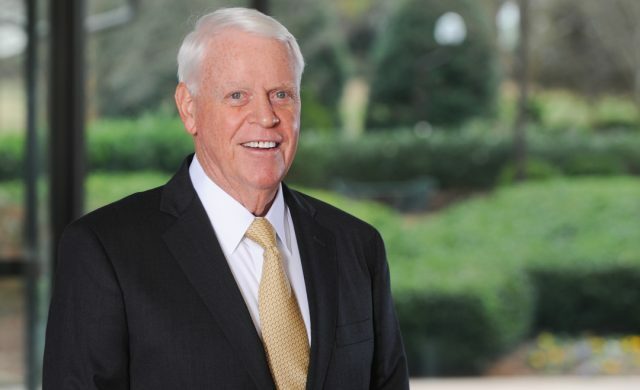 His community involvement includes Chairman, Georgia Tech Foundation; Former Board member and Chairman of Audit and Finance Committee, Georgia Ports Authority; Former Chairman, Metropolitan Atlanta Chamber; Former Chairman, Georgia Chamber of Commerce; Former Member, Georgia Corporation for Economic Development; Former Vice Chair, Savannah Area Chamber of Commerce; Former Chairman of the Board of Advisors, The Carter Center; Former Trustee, Rhodes College; Former Trustee, The Lovett School; Board Member, Georgia Banking Company; Board member, Invesco Mortgage Capital; MidCountry Financial Corp as a Trustee, Georgia Research Alliance. Jim received a Bachelor of Science from Georgia Tech and a Master of Business Administration from Georgia State University. He is also a graduate of the Advanced Management Program at Harvard Business School.